The East Coast of the US is a haven for delicious comfort foods. Home to some of the oldest American food traditions, the region running from Maine down to Maryland boats an array of comforting delicacies that embrace the abundance of fresh ingredients provided by the land and the sea. Given the region’s proximity to the Atlantic, it’s not surprising that the East Coast is best known for its seafood dishes. And trust us, these are like no fish dishes you’ve tasted before. With ultra-fresh preparation and an endless local passion, you can expect to be spoilt for choice when you visit one of the coast’s many eateries. Here’s just a handful of our favourite East Coast comfort foods…enjoy! 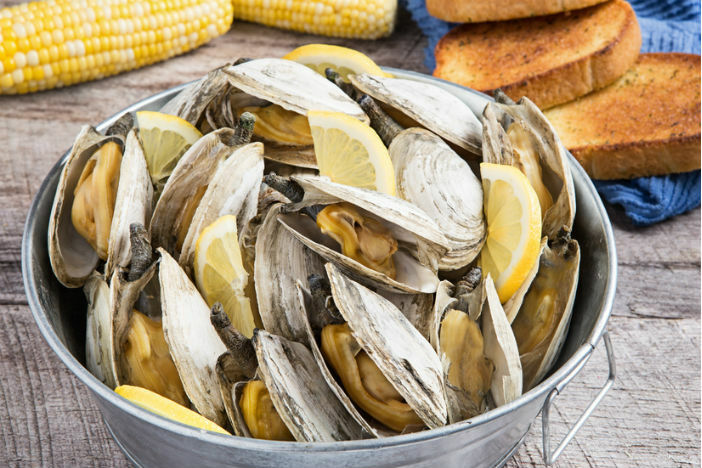 This delicious, hearty dish sees softshell clams, ears of sweetcorn, new potatoes, and whole lobsters layered together and cooked in a fire pit dug in the sand – or in a pot on the stove. Traditionally, the food is steamed over layers of seaweed. ‘Along the coast of New England, clambakes are traditionally held on the beach during special occasions. Baked beans have been a staple throughout New England since the time of the Pilgrims, but Boston in particular is renowned for its love of the dish. In fact, it has even been nicknamed ‘Beantown’ by other parts of the US thanks to its love of the local version. Boston baked beans are small white beans baked in the oven (in other words, standard baked beans), with the addition of molasses, salt pork, black pepper, and sometimes a touch of mustard and onion. These warming ingredients are slow-baked together until they form a thick, rich stew with a caramelised crust. 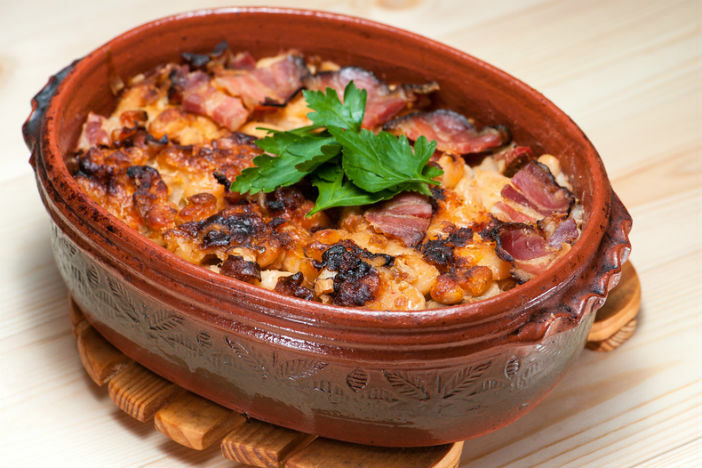 Trust us, the rich flavours of Boston baked beans will be like no others you’ve tried before! 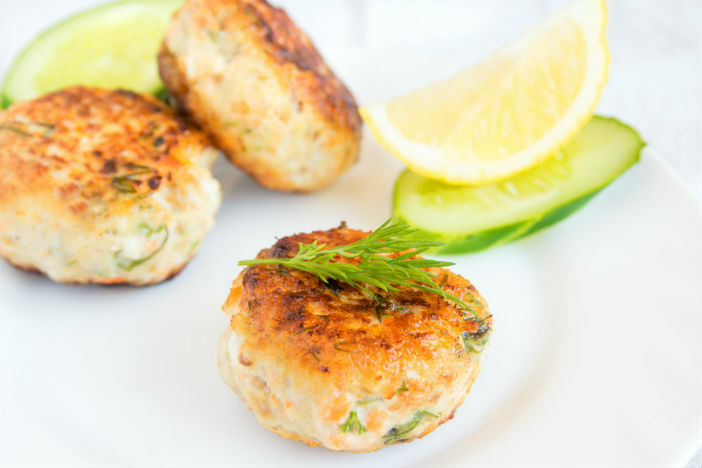 These fish cakes are usually made from the flaky white flesh of a native Atlantic fish such as haddock or Pollack, and are flavoured with lemon, dill, and Dijon mustard. We’d recommend trying them with a creamy mustard sauce or, of course, with some Boston baked beans! The lobster roll is held up by many as America’s finest handheld meal – and we’d be inclined to agree. 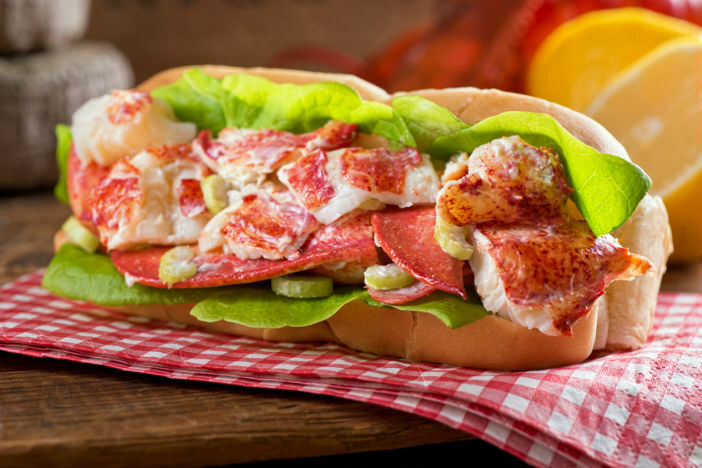 Think chunks of steamed lobster claw and tail meat combined with spring onion (or scallions as they’re known in the US) and cucumber mayo, served on a buttered and grilled hot dog bun…delicious! Soft hoagie bread filled with a delicious mix of thin slices of griddle beef and soft, gooey cheese, the Philly Cheesesteak is the ultimate comfort food. It’s easy to see how it earned its place as a firm favourite in Philadelphia and beyond. There are a growing number of variations on this iconic dish, including a chicken cheesesteak made with chicken instead of beef, and even a ‘pizza steak’ topped with pizza sauce and mozzarella. 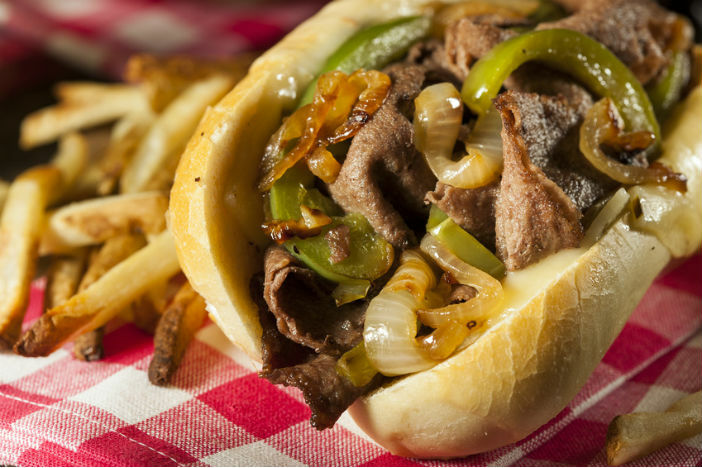 But, of course, the original Philly cheesesteak is hard to beat. If these culinary delights have you longing from a trip across the pond to the East Coast of the United States, check our selection of East Coast America cruises or call our friendly team on 0808 274 6777.